* Why career in law is one of the best options? * What are the Law Entrance Exams? * What is the ideal time to start preparation for CLAT? * List of National Law Universities? 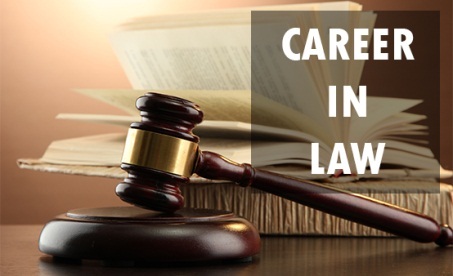 Why career in law is one of the best options? The ambition to enter profession of law is usually drawn from inspiration either from non-fictional personalities (e.g. family members, friends) or some fictional personalities (Bollywood actors as lawyers, for eg., Amitabh Bachchan (Pink), Akshay Kumar (Rustom), or characters from novels such as Rudy Baylor/Atticus Finch, etc. ); or from the belief that ONE PERSON CAN MAKE A DIFFERENCE. Nowadays lawyers aren’t just taught the tenets of law, they are taught how to be a good leader and how to lead the world. The ability to make decisions based on facts and reasoning, rather than emotions, is an integral part to success in the profession of law and holds even more value out of the court room. A great leader has the ability to make the hard choices putting the interests of his client first. Litigation – Criminal Laws, Civil Laws, Taxtion, Corporate, Commercial, Mediation, Human Rights, Intellectual Property Rights, Environment, Cyber, Intellectual Property (Trademarks, Copyrights, Patents) and many more. Law Firms – Corporate advisory, Mergers & Acquisitions, Tax Practice, Litigations. Others – Judiciary, Civil Services, Teaching, Legal Journalism etc. Students of top Law Colleges don’t have to go for job hunting, as there are appropriate opportunities that will seek them out. Every year the best law firms in the country and top Corporate Houses set placement targets for their HR teams, with hefty packet, to ensure that they do not miss out on the top talent in the country. How to get admission in law course? Admission in law course is on the basis of the Entrance Exam. There are various entrance exams conducted for admission in different colleges / universities. Students appeared for 12th are eligible for entrance exam. However, eligibility criteria for each entrance exam is different. What are the Law entrance exams? LSAT India Conducted 4 times every year specially designed for LLB and LLM admissions. The Common Law Admission Test (CLAT) is conducted every year by one of 21 National Law Universities in India on rotating basis for admitting students in these universities. The Law School Admission Test (LSAT) is an integral part of law school admission in the United States, Canada, and a growing number of other countries. The LSAT is designed specifically to assess key skills needed for success in law school, including Reading, Comprehension, Analytical Reasoning, and Logical Reasoning. AILET stands for All India Law Entrance Test and CLAT stands for Common Law Admission Test. AILET and CLAT both are the two most sought-after law entrance exams of the country. University of Delhi, on behalf of its Faculty of Law conducts Delhi University LLB Entrance Test, commonly known as DU LLB Entrance. State Common Entrance Test Cell of Government of Maharashtra conducts entrance test MAH-LLB for admission in law courses. BHU Law Entrance Exam is a university level examination organized by the Banaras Hindu University (BHU). AIBE, also known as All India Bar Examination, is an assessment test conducted at national level by Bar Council of India for the candidates who hold an LLB degree from recognized Law institution for their enrolment at Bar to enable them to practise law in the Courts in India. 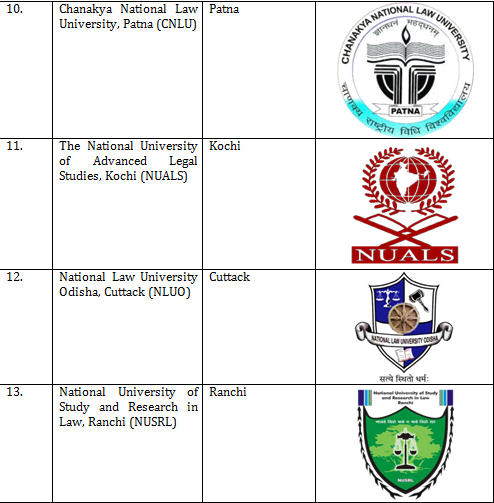 It is expected that the CLAT 2019 exam will be conducted by the National Law University Odisha (NLUO), Cuttack. Actually, the Common Law Admission Test (CLAT) is a national level entrance test conducted by the 19 National Law Universities (NLUs) on a rotational basis. 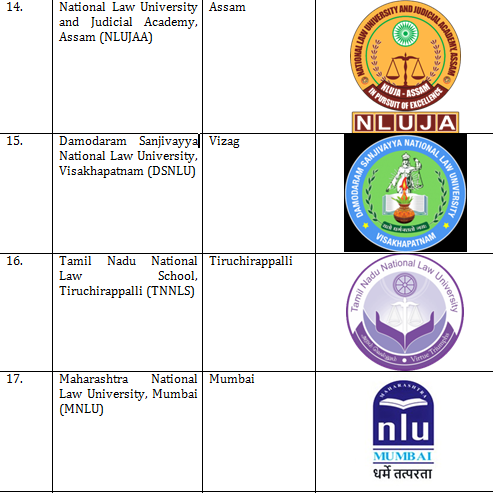 There are 21 National Law Universities (NLU) in India (For list of NLU see bck-inside cover). 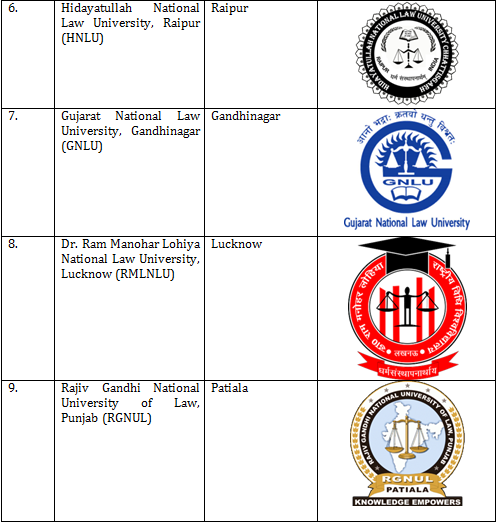 For admitting students in these universities The Common Law Admission Test (CLAT) is conducted every year by these universities on rotating basis. 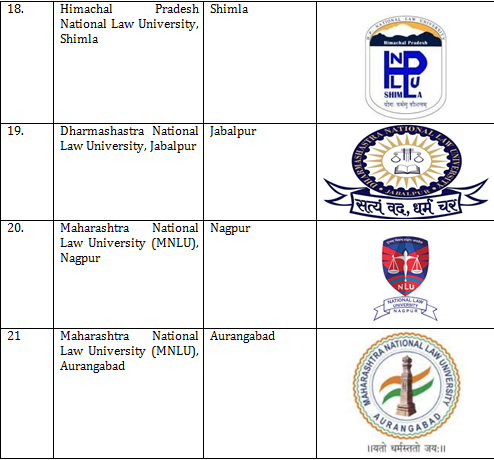 Where is Maharashtra National Law University, Mumbai (MNLU) situated? What are the eligibility criteria for CLAT for undergraduates? 1. There will be no upper age limit for undergraduates (UG) Programme in CLAT. 3. Candidates who are appearing in the qualifying examination in March/April are also eligible to appear in CLAT examination. 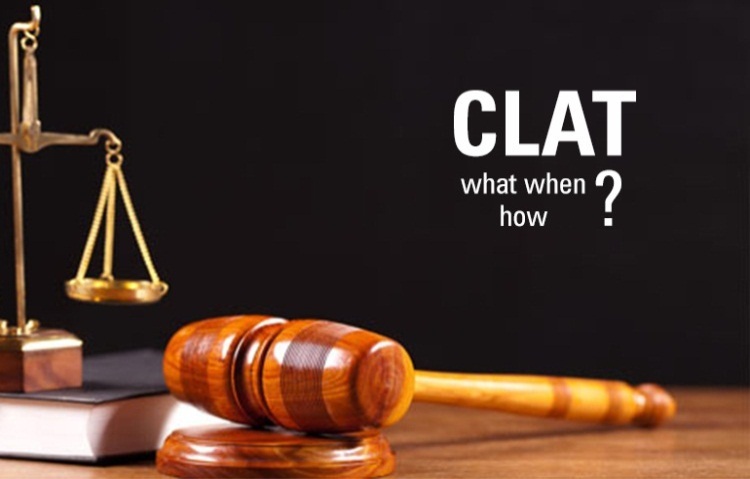 However, they shall be required to produce an evidence of their passing the qualifying examination at the time of CLAT Admission Procedure, failing which they shall lose their right to be considered for admission. 4. The result of the qualifying examination (i.e., 10+2, HSC) shall be submitted by the candidate at the time of admission failing which the candidate shall be ineligible for admission to the Course. Provided that applicants who have obtained 10+ 2 Higher Secondary Pass Certificate or First Degree Certificate after prosecuting studies in distance or correspondence method shall also be considered as eligible for admission in the Integrated Five Years course or three years’ LL.B. course, as the case may be. Explanation: The applicants who have obtained 10+2 or graduation / post-graduation through open Universities system directly without having any basic qualification for prosecuting such studies are not eligible for admission in the law courses. Is there any age limit for CLAT? There is no upper age limit set for appearing in the examination. Thus, candidates of all ages are eligible to appear for the law entrance examination. What is the Exam Pattern of CLAT (for 12th HSC appeared students)? There is 1/4th negative marking for every incorrect answer. (i.e. 0.25 marks will be deducted for incorrect answer). If question is left un-attempted no marks will be deducted. * Note: Law Institute/NLU has discretion to make changes in Exam pattern. What is the scope and coverage of questions (syllabus) in CLAT (UG)? The English section will test the candidate’s proficiency in English based on comprehension passages and grammar. In the comprehension section, candidates will be assessed on their understanding of the passage and its central theme, meanings of words used therein, etc. The grammar section requires correction of incorrect grammatical sentences, filling of blanks in sentences with appropriate words, etc. The General knowledge will be evaluated on the general awareness including static general knowledge. Questions on current affairs will test the candidate’s on their knowledge of national and international current affairs. Is there any prohibition for admission in law courses? 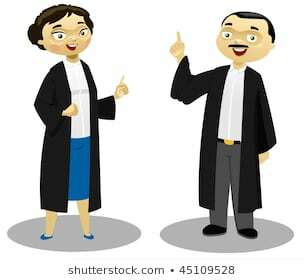 No student shall be allowed to simultaneously register for a law degree program with any other graduate or postgraduate or certificate course run by the same or any other University or an Institute for academic or professional learning excepting in the integrated degree program of the same institution. Provided that any short period part time certificate course on language, computer science or computer application of an Institute or any course run by a Centre for Distance Learning of a University however, shall be excepted. Is it advisable to start preparation for CLAT after 12th HSC Board Exam? You should prepare for 12th and CLAT simultaneously. As after your Board exam you will not get much time to prepare for the CLAT. You can apply for CLAT entrance exam after 12th as it is for 5 year integrated law course. CLAT exam is conducted once in a year and so your preparations must be good enough to get the admission in top NLU the same year so that you don’t have to wait for another year. What is the ideal time to start preparation for CLAT (UG)? The ideal time to start preparation for CLAT (UG) is after your 10th Board Exam so that you are appropriately ready for CLAT after your 12th HSC Exam. So you will have almost 2 years to prepare for the exam. Hence the duration between your 10th Board Exam and 12th Board Exam is ideal for the preparation of CLAT (UG) so that you will have an edge over other candidates in the examination. Is it possible to manage Junior College academic study with CLAT preparation? With proper guidance and time management one can definitely manage academic studies with CLAT preparations. Is it necessary / compulsory to go for Arts after 10th SSC, if I plan to join law course after 12th? Opting for Arts after 10th SSC is neither necessary nor compulsory if you are planning to join law course after your 12th. Students can opt for law course irrespective of their streams, Arts, Commerce or Science. Salient Features: •	Exhaustive Module-wise Coaching. •	Course schedule to suit college timing & exams. •	Additional Daily Current Affairs Analysis lectures & Tests (online) for better understanding of Constitution, Indian Polity, Government Schemes & Policies, International & bilateral news. •	Expert and Experienced Faculties to make learning easy with fun. •	Tests prepared by experts covering the relative importance of various topics based on in-depth analysis of exam trend and pattern. •	Printed Study Materials covering each topic of syllabus. 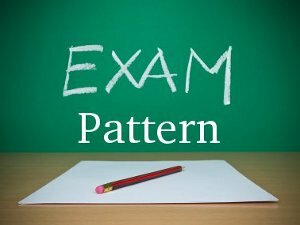 •	Previous Years Question Papers solving sessions to get familiarize with entrance exam pattern. •	Personal Attention, Counselling, Periodical Assessment of Performance to ensure higher rank. •	Personalised Guidance and assistance to draw up individual preparation strategy. •	Quiz contests (KBC type) with buzzer round for syllabus based questions. 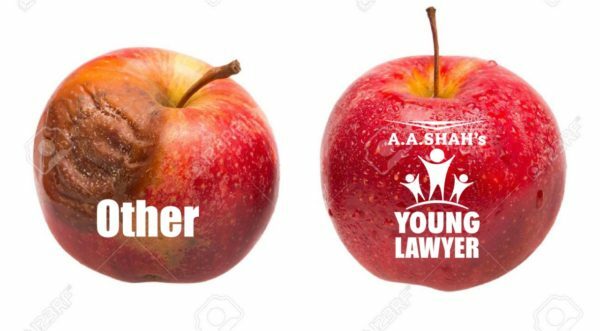 Why to join A A Shah’s Young Lawer when there are many other coaching classes? “A A Shah’s” is known for its sincere and dedicated approach in guiding, training and coaching its students. Having team of experienced faculties and track record of completion of syllabus with proper revision and tests, A A Shah’s has emerged as a trand setter, starting from UPSC – Civil Services Exams to school level scholarship Exams. 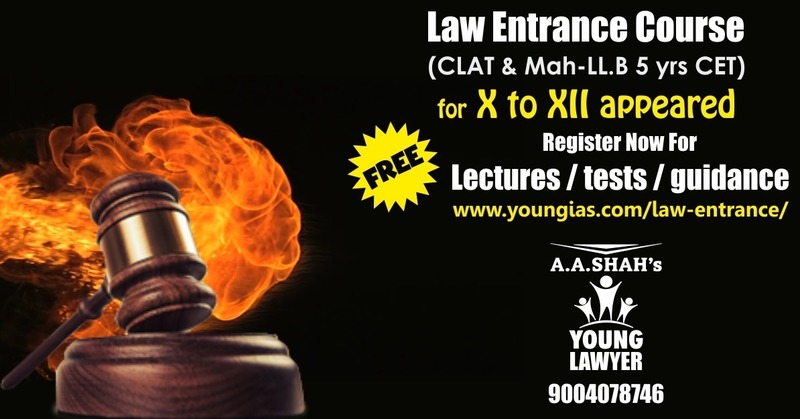 After looking into the plight of students aspiring for law courses and their exploitation by so-called big coaching classes, “A A Shah’s” has started Law Entrance Courses for CLAT and Mah-LL.B 5 Years CET for 10th, 11th, 12th appeared students, with aim to provide the best coaching with personal attention and full support till the student gets admission in NLU/College of his/her choice. Real-time live interactive virtual classes to be scheduled as per request for resolving doubts & querries. Lesser hours, lesser duration, lectures only on Sundays that too during college-days, no live interactive virtual class. Tests / Assignments Regular & periodical tests and assignments for assessment of performance and to work for improvement. Online tests conducted without any personal touch. Faculties Experienced faculties, popular among the students, who make subject concept clear and lucid, identify weak students, pay extra attention and are also available even after the class. Faculties teach big-sized batch without any time or inclination to take care of weak students. Extended batch Extended batch available without any extra payment Extended batch available with limitation. Free demo lecture / mock tests Free demo lecture / mock tests allowed with no condition attached to it. No demo lecture allowed. Focus Focuses on proper coaching to students. Focuses on tempting aspirants by attractive & colourful, brouchers, advertisements, testimonials, so-called success stories etc. 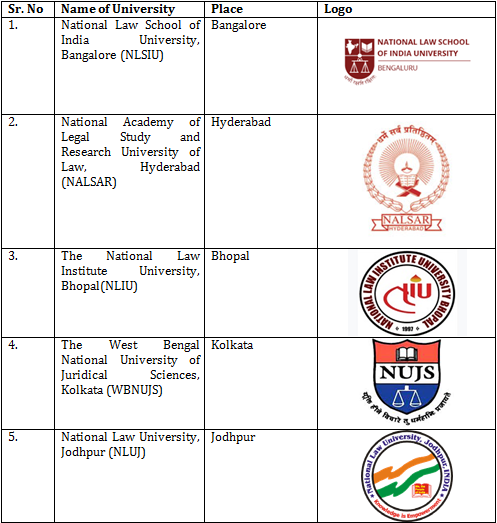 Which are the National Law Universities and where are they located? 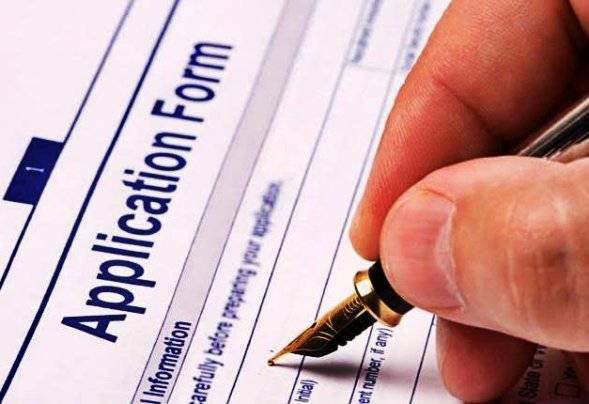 How to fill CLAT application form 2019? Candidates should preview the application and then make it final submit. Note: A candidates must remember his/her CLAT USER ID & password. The USER ID & Password helps the students to see the status of their application form, download the admit card and know the results.